Fruit - Plants which produce an edible or ornamental fruit - culinary. Partial tip-bearer. Produces fruit on spurs along branch and at tip. 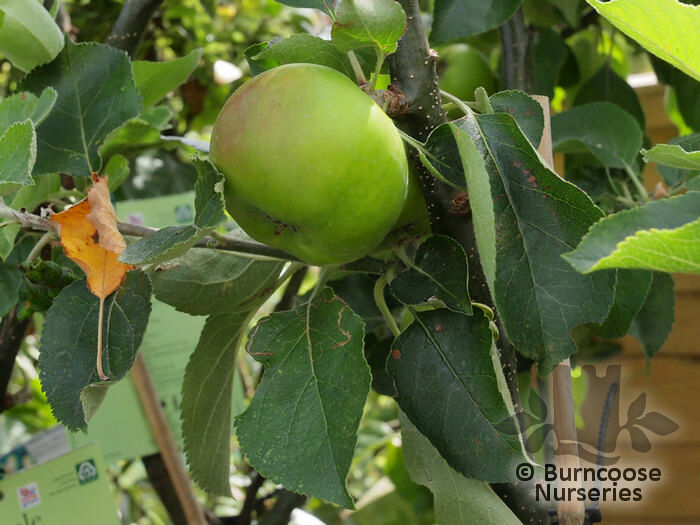 Pick Oct-Nov for use Oct-Jan.
Additional Features	- Good to know - requires 2 others of this apple selection for pollination. Can produce very large fruits.Excellent wildlife plant - bees and other insects. Place of origin - garden in Southwell, Notts. Planted as a pip by young Mary Ann Brailsford in 1809. Cottage purchased by Matthew Bramley in 1846.